Montana is a kaleidoscope of lifestyles. But no matter what walk of life they come from, Montanans value their fitness. This outdoorsy cornerstone to Big Sky citizenship translates to a love of recreational and competitive sports. 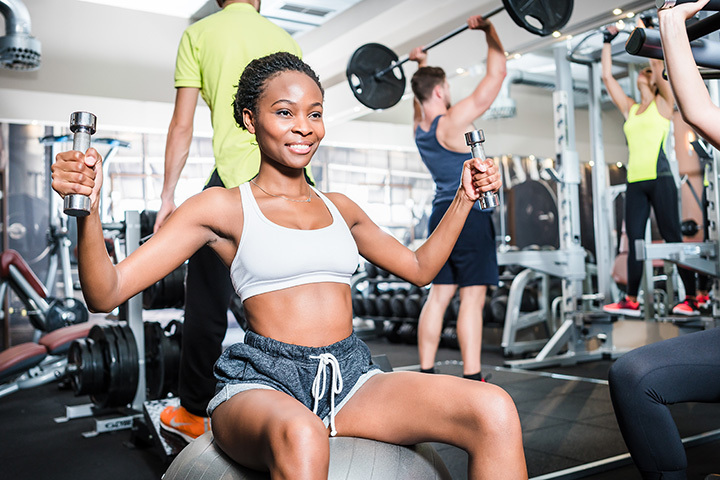 Across the state, you’ll find a variety of sports centers with classes to get involved in, top-notch workout equipment, and much more. Here are the 10 best sports centers in the state. The breadth of amenities at the Wave make it an impressive sports center. This non-profit, community-centric complex is laser-focused on recreation and education for families and youth. Outside the obvious waterborne amenities, the top-notch facilities here make for sports and activities galore. A pine gymnasium hosts a full-size basketball court, amenable to volleyball, dodgeball, a racquetball enclosure, fully-stocked fitness center, and all the locker-room and shop amenities for post-game (even a juice bar!). Beat the snow and jump in! We are open! Crosscut is all about two things: engaging and preserving the outdoors. Or, as the website declares, “community and conservation.” This massive property outside Bozeman evolved from humble cross-country ski course to full-service outdoor sports facility. This honeycomb of entertaining and challenging trail networks weave together a lodge and complex to serve the needs of hikers, bikers, downhill & cross-country skiers, and nature-loving families of all stripes. Enthusiasts of all ages can join a sports club, get private or group instruction, or simply enjoy a day in one of Montana’s outdoor oases. For nearly four decades, this sports complex has provided fun and instruction for generations of Missoula youth (and their families). Though multidisciplinary, this center focuses on trampoline routines, dance, gymnastics and “Acro” (a combination of dance and gym). At Roots, beyond healthy activity and plain fun, students are encouraged to express themselves creatively, be it through a day-long jaunt, intensive focus camp or family-friendly instruction. This youth-centric venue centers around gymnastics, trampolines and the Acro genre, sporting (pun intended) the best facilities and equipment in the capital city of Helena. A headquarters for the town’s competitive gymnastics programs, Kidsports hosts classes, camps and free-floor time for the recreational dabbler and diehard competitor alike. And families gravitate towards the attached preschool area, supporting fun and instruction for the youngest. Check out the newest addition, GymXtreme! Climbing has the mistaken reputation of being too niche. But the sport is actually very approachable. It’s a heck of a lot of fun, a great workout, and not as complicated as assumed. The Spire Center is a beautifully-constructed and outfitted complex, well rounded and providing customizable experiences for amateurs and pros alike. For over a decade, the varied recreational topography (15,000 square-feet of climbing space and 5,000-feet of bouldering) has attracted families and soloists, first-timers and experienced boulderers. Great for training, weekend experiences, certified instruction and parties of all kinds. Just a few spaces left in next week's camps, sign your crusher up today! It’s rarely the case that well-funded universities aren’t the primary locus of sports and recreational opportunities. And in an active, outdoorsy community like Missoula, wherein “fun” almost always involves nature, the environment is perfect for sports of all kinds. Amidst this recreational devotion, the University of Montana is second to none. To name a few of its assets: the stellar sports center is home to the Montana Grizzly basketball team and training complex for the successful university’s football club, a plethora of classes, courses and personal instruction are available to the public, there’s a NCAA-certified aquatics center, and skiing, climbing and biking are all accessible via the incomparable Outdoor Program. The Young Men’s Christian Association has expanded exponentially since its inception. The pillars of providing healthy, safe recreational spaces to promote social responsibility and activity remain, but the facilities have grown tremendously, both in terms of amenities and available classes and instruction. The YMCA is hard to beat: they’ve an aquatics center, full gym and basketball court, and a host of after school and weekend courses. They're are also a host of camps and weekly events, all amenable to youth and their families. And the icing on the cake is its affordability: it’s $20/month for youth, $40/month for an adult, with access to all the facilities. View more Montana Sports Centers and Complexes.